Disclaimer: I was provided with products to review for my own personal and unbiased opinions. I was not otherwise compensated for this post. Your views may differ from mine. Thank you! Exquisitely crafted deeply red gemstones with pearl to finish them off, these are the perfect coupling to just about any attire, and for any occasion! 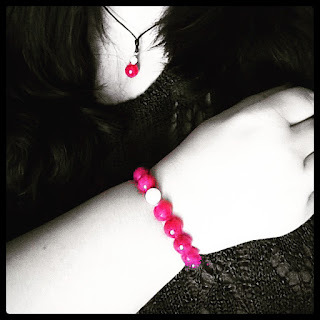 I am very partial to pearls and love anything red or black and so the colors in these pieces are just the perfect combination for someone like me and I wore them with pride to my in-law's Thanksgiving lunch and got a lot of compliments! These aren't your average, old string of beads or rack of pearls, a dated style or sub-par anything, these are just greatly thought-out, well-designed matching little pieces of joy to make a person sparkle and to brighten their day! I hadn't heard of Vincent Peach before doing this review but I sure have heard of him, now and I can't get enough! I absolutely love the way these look and they look so much better in the hand than in photos even, they are just fabulous! They aren't too short, too tight or uncomfortable, either, they're just perfect, as though they were made for me! Vincent Peach is being worn by stars such as Miranda Lambert, Carrie Underwood and Taylor Swift, to name a few, and I have to think they all have great taste because this is some of the nicest jewelry I think I've ever had the pleasure to wear and I would definitely seek out more! Vincent Peach jewelry would be a go-to in a heartbeat for an occasion or gift, which is why Vincent Peach has made it effortlessly into this years Holiday Gift Guide! (#MGBHGG). Check out the many fabulous pieces, today, and let me know what you find!! These items are perfect for giving as gifts this holiday season. I love their color options. VERY pretty! 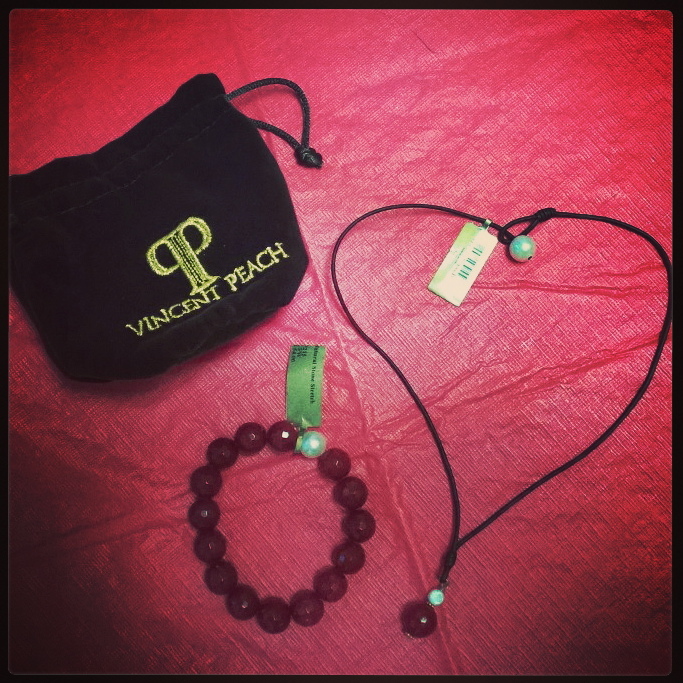 I have not heard of Vincent Peach before but will check the brand out! Thanks! Not usually a fan of pearls but damn I really love that Constellation Cuff! I just went into his facebook page and I must say I was very impressed with the jewelry. There are more then a few pieces that I would love to own. Yeh, they are so pretty, I don't know if i'd had my head under a rock or what never to have heard of VP before, but now that I have, i'm hooked!